When former Vice President Al Gore asks you to help him save the world, you say, “yes.” So that’s exactly what we did when he, and his advisor Alex Bogusky came to us with this opportunity to work on the Climate Reality Project. Problem: In 2007, after Mr. Gore won accolades for An Inconvenient Truth, public attention to and understanding of climate change was at an all-time high. The overwhelming scientific evidence demonstrated clearly that global climate change is happening, and manmade carbon pollution is to blame. Unfortunately, that truth was particularly inconvenient for the fossil fuel industry, and in the subsequent years Big Oil and Big Coal spent big money buying access to media, and fueling a campaign of doubt, denial and confusion in an effort to gain control of the climate conversation. And it was working. Public understanding of the issue was dropping, while the reality of global climate change continued to grow into the full-blown crisis it’s now become. We needed a tool to help ordinary people cut through a very complicated and easily manipulated scientific issue to get the most current, relevant, and clear facts about climate change. We needed a tool to empower people to confidently and knowledgeably regain control of the conversation, so we can all get back to fixing the problem. Our solution was Reality Drop. We first introduced The Reality Drop concept at PSFK’s “Gaming for Good” conference. 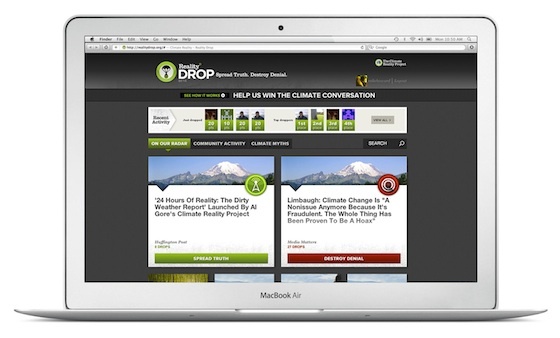 After submitting a brief asking more than a million creative professionals to incorporate game theory to address the issue of climate change, Reality Drop was one of two Arnold entries judged among the top ten. On February 28th, Mr. Gore officially introduced Reality Drop during the prestigious 2013 TED conference in Long Beach, California. In no time, the news was picked up by Pete Cashmore and Mashable, Huffington Post, Fast Company, Digiday, and more. Just 3 business days into the launch at the time of this writing, it’s difficult to tell if we’ve actually succeeded in saving the world. But among the many things our small team learned while building this tool, we can say this for certain: Trying something means everything. AS NAUGHTY AS YOU WANT IT. For the Global Launch of the S60, we invited Volvo enthusiasts to participate in the campaign, and let us know just how naughty they want it. To inspire those enthusiasts, we enlisted the help of Scott Weintrob – Director of the BBC Top Gear series. Scott recruited professional racer and stunt driver Ben Collins (who may or may not be “The Stig”), and we all trekked off to the Volvo Proving Grounds in the remote forests of Hällered, Sweden. 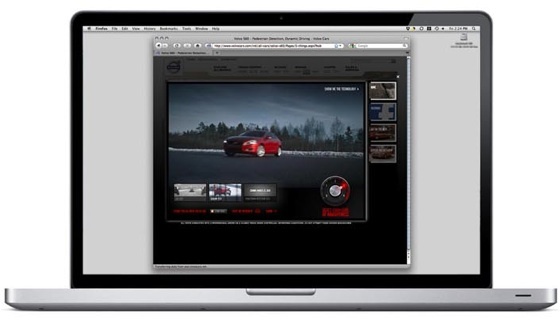 Inspired by the rigorous testing Volvo is known for, we created a series of online films featuring the S60 performing three standard track tests with increasingly naughty twists. TEASING THE VOLVO FAN BASE. The first film received more than 88,000 Facebook impressions within the first two days. DIAL YOUR NAUGHTY UP A NOTCH. On the eve of the Global Launch, we seeded levels 1, 2, and 3 of our Naughty Volvo Films on the Volvo Facebook fan page, and on YouTube. The films direct users to naughty.volvocars.com where they’re invited to submit their own creative suggestions for an even more naughty 4th level to be filmed in May, 2010, for release at the 2011 Market Launch. In the weeks that follow, users post hundreds of their own Naughty ideas to the Volvo Facebook page, and an article on Wired.com prompts a slew more. Some are inspired, most are downright bananas, and yes, a few are critical, too. But one thing’s for sure: Naughty Volvo has started a conversation. Click to enlarge ticket detail. As adults, we understand that the world is not a black and white place, and the delineation between right and wrong is hardly ever that clear. But teens have a much more acute sense of rightness and wrongness – of what they believe to be fair and unfair. 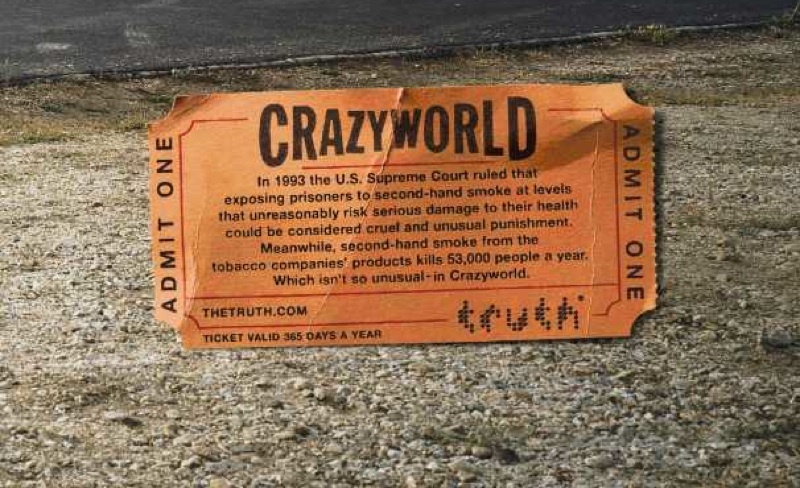 With the Crazyworld campaign, we wanted to leverage that insight and show young people a world in which most businesses are held to one set of rules and standards, while Big Tobacco operates in a parallel universe in which their actions are relatively devoid of consequence. It’s an upside down place, and unfortunately, it’s the world we live in. 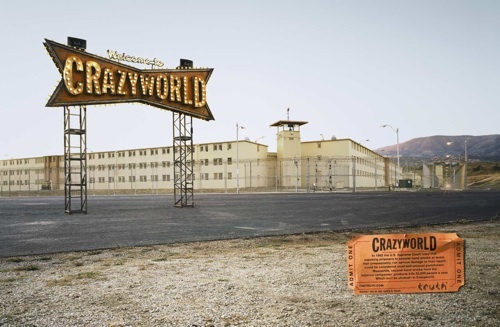 Welcome to Crazyworld. Watchmechange.com was created in 2005 with the help of our friends at Fuel Industries, as part of a campaign to build conversation around the GAP brand while the company engaged in a market-by-market remodel of its stores. 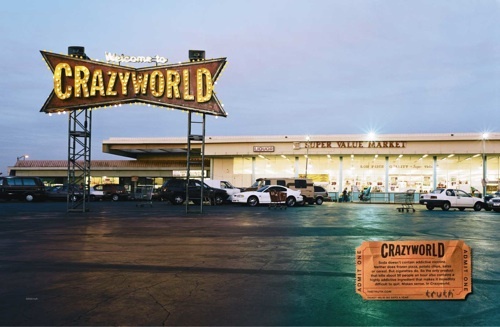 The site was initially seeded to a handful of local blogs and news sites in the Denver and Hartford areas (the first GAP markets to undergo the remodel). But in the months that followed, visits to watchmechange.com exceeded 3 million with more than 1 million unique visitors, and the site was featured in the Wall Street Journal. How do you introduce a product like BK Chicken Fries to the people of Spain? How do you even explain a product like BK Chicken Fries to Spain? Well, we started by discussing the role of social class distinctions in that country, and how we might relate those distinctions to a chicken and a potato. Seriously. 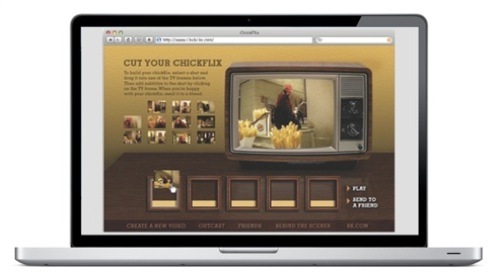 The integrated product launch included the television spots above, plus radio, out-of-home, and a microsite – teatrodelpollo.com (chickflix.com in the US). 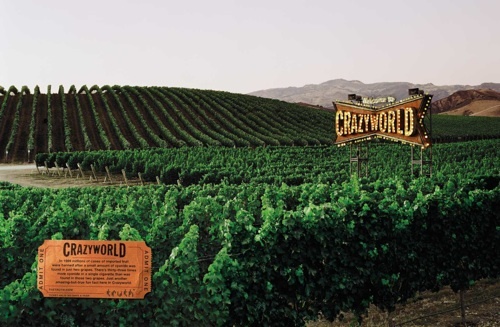 In a market with a traditionally less-than-friendly view of fast food marketing, the campaign was a huge success for BK Spain, and it was extended with additional creative and media the following year. Besides shortlisting at both the Cannes International Advertising Festival and the London International Awards, the television work won Bronze at the El Sol Awards in Spain. Not bad, considering neither I, nor my creative partner at the time, Anja Duering, speak any Spanish. Special thanks to our friend and former CP+B colleague, Mauricio Alarcon, who speaks it extremely well. We designed these short dialogue videos to play during the load sequence for Epsonality.com. At the end of a very long day, we were only left with about 30 minutes to film our couple, but when we did, everyone fell in love with their chemistry. 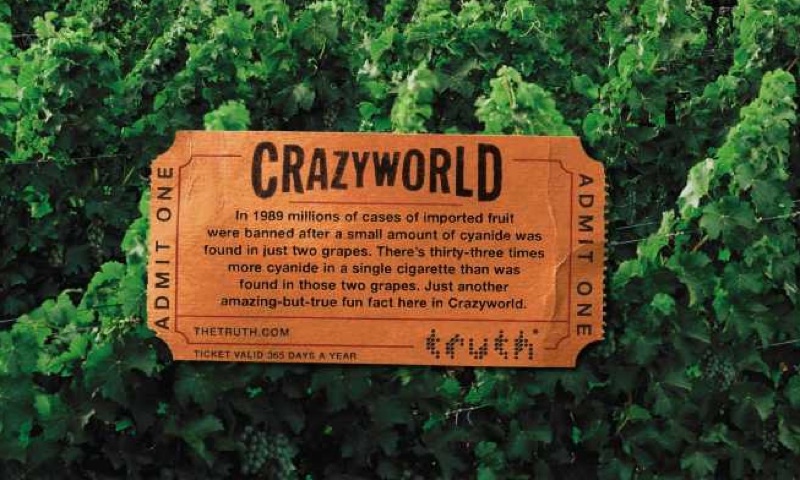 So we re-purposed the footage for use in cinema advertisements, and in rich media banners – which received more than 10X the average click-through rate. Definitely a half-hour well spent. Throughout their history, tobacco companies have done some outrageous things in the name of expanding and protecting their trade in a deadly, addictive product. Unfortunately, it’s all too easy for savvy young people to dismiss it all as part of a Big Business reality that’s far too abstract to elicit any real outrage. 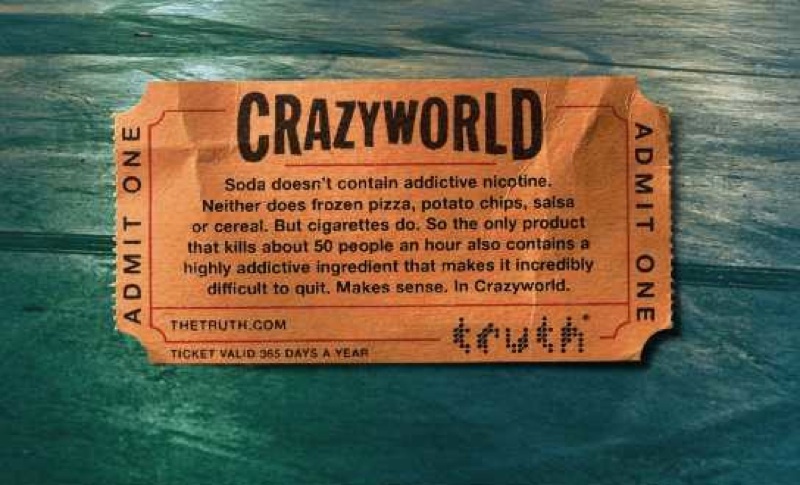 With the Connect truth campaign, our goal was to help bring some of those abstract Tobacco Industry stories to life by demonstrating the relationship between the decisions Big Tobacco makes on a corporate level, and the real-world effects of those decisions. We wanted to encourage young people to look for those relationships in the world around them – to question everything. Because when you take a closer look, it all connects.